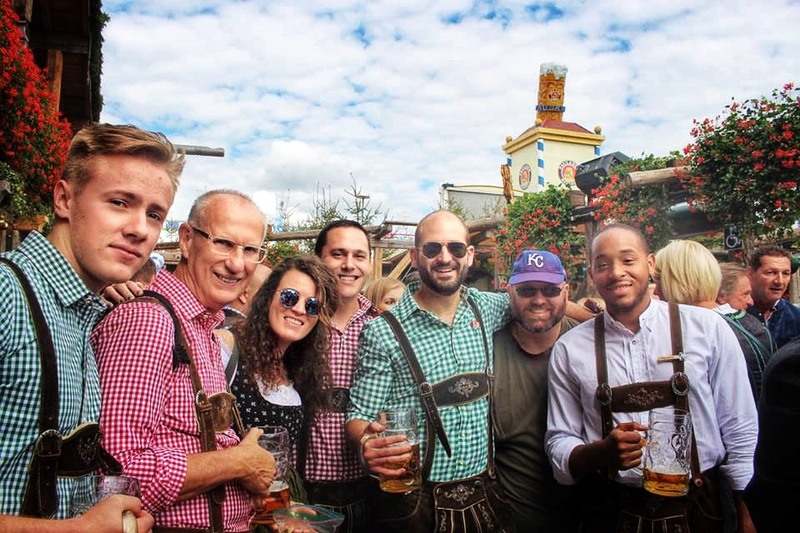 The Döner Brös journey began in Fall of 2015, when our founders Alex Politsch and Steven Banks went to Oktoberfest in Munich, Germany. They initially planned to eat German food, immerse themselves in Bavarian culture, and most importantly, enjoy great beer! On the first night of their trip they stopped for a snack, they never expected their world to be turned upside down. They had discovered the World Famous Döner Kebab and it was love at first bite! 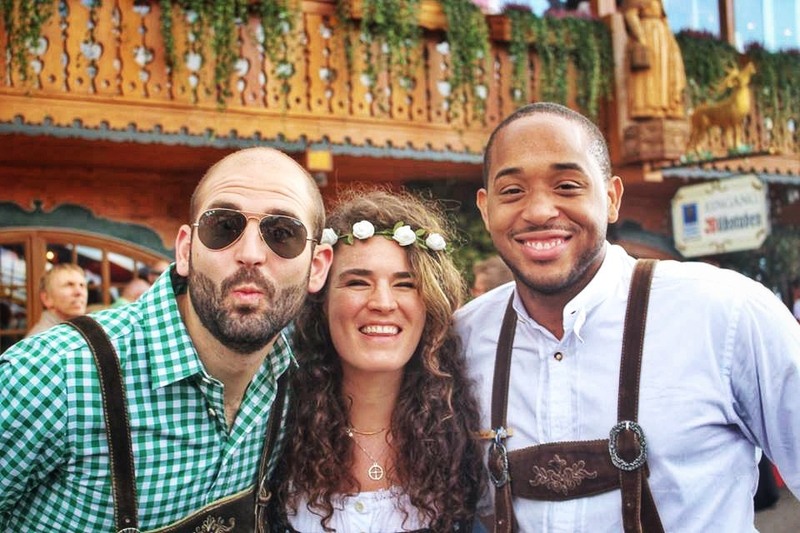 Oktoberfest 2015 quickly became a honeymoon with Germany’s most beloved Turkish import. The guys couldn’t get enough. For the remainder of their trip the two friends searched the streets of Munich trying different variations of the vertical rotating, delicious stacks of meat. Without second thought, Alex agreed. The pair, driven by the memories of their taste-buds, spent hours on the phone that day in the parking lots of their jobs nailing down every detail. From the logo and color scheme to the featured menu items. Finally, the only question was; what to call it? 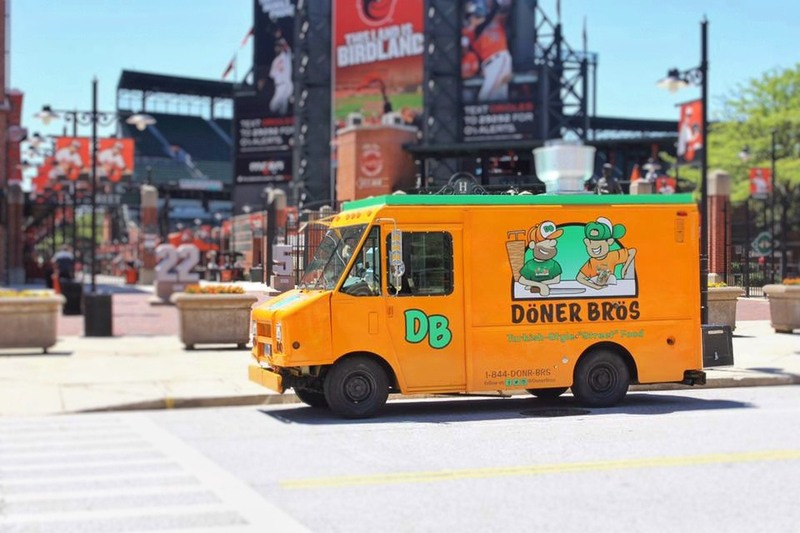 After a couple of years, a few more trips to Europe and several test-runs in Alex’s kitchen, Döner Brös was born. Their bright orange truck hit the streets of Baltimore in 2017 and the two friends never looked back.